Encourage proper care of birds via safe practices. Oppose hybridization and other practices that will endanger the genetic foundation of a species. Jacob Kraemer has over 33 years of avicultural experience, with a primary focus and passion for waterfowl. Jacob began keeping waterfowl at age 3 and now, at 36 years of age, has successfully kept and bred over 100 species of waterfowl. Jacob began his professional career in aviculture in 2009 when he was named general curator of Pinola Conservancy in Shreveport, LA. Pinola Conservancy has been instrumental in fostering today's captive waterfowl populations with valuable genetics via various imports and subsequent strong breeding efforts to help maintain sustainable populations. Jacob believed in the need for a stronger working relationship between the private sector and zoological facilities and began to offer access to Pinola's birds and wealth of internship opportunities to zoo professionals at no cost. During his tenure as general curator, Jacob served as a board member of both the International Wild Waterfowl Association and American Pheasant and Waterfowl Society. Jacob, now Director of Pinola Conservancy, oversaw tremendous growth within the Conservancy over the span of 9 years and beginning in 2017, spearheaded the process of becoming Certified by the Association of Zoos and Aquariums, which Pinola Conservancy officially received in March 2018. He is proud to have been invited to share his experience and what is currently being done at, and what the future holds for, Pinola Conservancy. "How to Repair Small Damaged Eggs and Assist With Hatching"
I’m not a veterinarian, an ornithologist, a nutritionist or an expert at any of this. I am simply someone who is fascinated by birds and has kept them for over 40 years. That experience has taught me a lot about birds both the successes and the hardships. My passion for birds began with game birds, doves and chickens moving quickly into racing pigeons and budgies. It wasn’t until just over 12 years ago that I purchased my first pair of Lady Gouldian finches and the love affair with finches began. I’m often asked questions about the Gouldians and their basic requirements which is why I put this presentation together. A basic look at my Finch Husbandry set up based on my own experiences. Essentially I've been working with birds since I could walk. I've raised softballs, small hookbills, some parrots and all kinds of game and ornamental pheasants. My real interest now are finches and I'd like to share some of my cage breeding experience to help and learn from others. I am currently working with Gouldians, owls, parrot and Peales finches. Specifically covering cages, lighting, nest boxes, food, responsible breeding, medications, buying and selling etc. It would really be great to get input from club members. I hold an MBA and have a poultry background and am currently the president of the better business bureau. "Care of Birds and Preparing for the Breeding Season"
This is a question and answer panel so bring your questions for the group. These aviculurists probably have over 100 years of exprience among them, in ALL knds of birds. No question will be left unanwered! Blue has been breeding a variety of mixed species of birds beginning at an age of 10 years old. He will be mentioning some of the different types at our meeting.Over the last 30 years he concentrated mainly on Australian species, (I wonder why?) He will be discussing avian housing, diet,breeding and "critter' control. He will be presenting a short slide presentation followed by a question and answer time. As Blue says, we ALL learn from picking each others brain/experiences so bring your questions and your knowledge. Roland Cristo has been breeding birds for over 50 years. His father had aviaries in his back yard in the Bay Area as Roland was growing up. Roland would help his father take care of them. He has given talks to many bird clubs. This one will be on Breeding Softbilled Song Birds. This will be a new talk with new pictures! Susan Schneider, PhD, has over twenty-five years of research and teaching experience in the science of consequences and nature-nurture relations, with numerous scientific publications. She's also an experienced birdwatcher who has clicker-trained her pet budgies. Her new book for the public, The Science of Consequences: How They Affect Genes, Change the Brain, and Impact Our World (www.scienceofconsequences.com), describes the science, its role in the larger realm of nature and nurture, and its many applications--including the benefits of positive reinforcement-based approaches to animal training and welfare. It's a selection of the Scientific American Book Club that's been featured on national media. Currently a Visiting Scholar at the University of the Pacific, Schneider has been a faculty member at St. Olaf College, Auburn University, and Florida International University. While it's easy to see that consequences are important, few have heard there's a science of consequences, with principles that affect us every day and empowering applications everywhere--at home, at work, and at school. Despite their variety, consequences appear to follow a common set of scientific principles and share some similar effects in the brain (think "pleasure centers"). The Science of Consequences tells a tale ranging from genetics to neurotransmitters, from emotion to language, from parenting to politics--bringing together research from many fields to show how something that seems so simple can explain so much. Scott Golden is presenting a program on Parrot Finches at our March 7th meeting. Scott has been raising birds for almost 40 years. He started out raising pigeons, bantam chickens and ornamental pheasants. 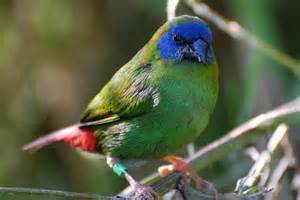 About 25 years ago, he bought his first pair of finches, Gouldians, which soon had several clutches of chicks. From that time on, raising finches has been a great passion for him. For the past ten years or so, Scott has focused on Parrot Finches, which are found on numerous islands throughout the Indo-Pacific. Since 2003, he has been working very hard to establish the Peales Parrot Finch here in the US. Prior to that time, they were virtually unavailable in this country. Over the years, he has gotten a number of other aviculturalists their start in this rare species and Peales numbers are growing. Scott received the NFSS National Aviculturalist Recognition Award for his efforts in this area in 2010 and 2013. NARA, or the National Aviculturalist Recognition Award is presented by the National Finch and Softbill Society for the development of a program of avian breeding success involving sequential generations of rare, endangered, difficult-to-breed or CITES-listed birds. From the early 1990's to 2010, Scott lived in Los Angeles and, later, San Diego. Raising finches in this warm locale had some advantages. Mainly, the birds could be kept outdoors year-round. However, in 2010 he moved back to his home state of Oregon, replacing the crowds, congestion and sunshine with wide open spaces, trees and....lots of rain! I was born in Springfield, Illinois, in 1938. My mother and I owned our first pair of American parakeets when I was 12. I moved to California in 1965, and began raising American parakeets in 1967. A couple of years later, I began raising English Budgerigars (Budgies). In the 60’s and 70’s I raised and showed pigeons, rabbits, and moved on to showing only English Budgies. I was a hobbyist and breeder of avian birds ranging from finches to macaws. My most loved was and still is the English Budgies. I was one of the founding members of both Capital City Bird Club and Golden West Budgerigar Society, and have belonged to a number of avian clubs and societies. 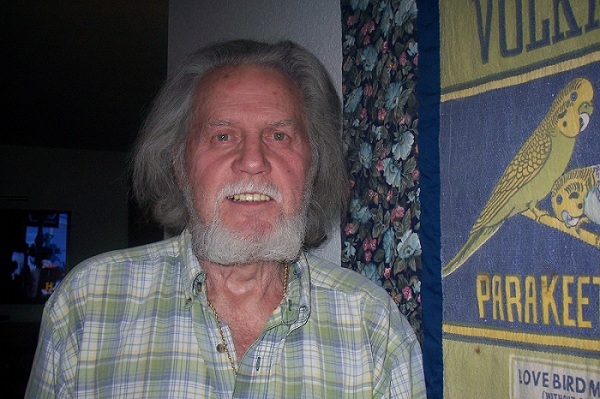 Currently I belong to Foothill Fanciers Bird Club, Amador Bird Club, and American Budgerigar Society. My wife, Mary, and I were married in 1982. We live on 6-1/2 acres in Placerville, where we have Barbados sheep and Nigerian Dwarf goats to keep the vegetation down. Amongst the sheep and goats, we have three Great Pyrenees and one Kangal-Akbash providing predator control, and one Border Collie for herding them. The Border Collie spends most of his time herding the chickens. I also currently raise and breed: English Budgies; American Parakeets; normal, pink, rosie, rutino, lutino Bourke Parakeets; Gloster Canaries; Green Singer Finches; Red Rump Parakeets; Diamond Doves; and Cockatiels. Doug will introduce himself, show birds in show cage, show a video on Budgie breeding, and answer questions from the audience. In creating this brief presentation of my past I find myself drifting all the way back to boyhood experiences with raptors. There was the sparrowhawk in the 7th grade science classroom and the trained pigeon that went to school with me daily. The sparrowhawk stayed at the school but it was my task to feed , clean and fly the lil bugger. This all took place in 1962! 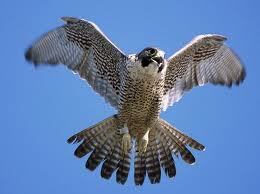 I since have flown many birds of prey and am now a master class falconer and also a licensed raptor propagator. Way back in 1962 nobody dreamed that these birds of prey would become protected and almost extinct in some instances. I was fortunate to work for the California Parks and Recreation for a time and gave camp fire programs on birds of prey and led field walks viewing other birds during the day. I have been a presenter at California Big Trees State Park for 23 years during their family day. I’ve given several talks to bird clubs and the Audubon Society through out the foothills and the bay area. 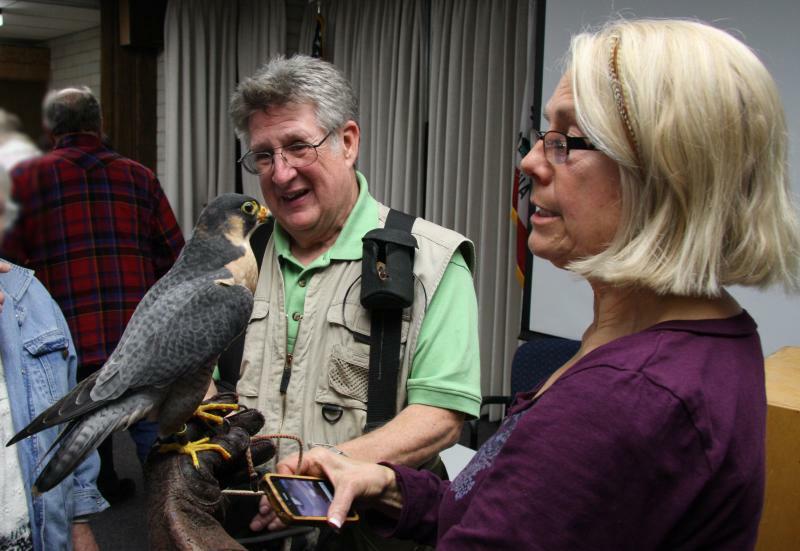 I'll be bringing a Peregrine Falcon and a Harris Hawk with me to be a part of your club meeting on Feb. 1. I look forward to seeing all of you again! Please be sure and bring any questions with you!!! Below are pictures taken at the meeting. Rich presented his birds and allowed some "hands on" personal contact with members. Roland will be speaking on control of rodents and ants in and around the aviary. Growing up in a home where the family hobby is birds, gave me a special love of birds. I was always involved with raising birds with my dad, and I have never seen a bird that I did not like. I have belonged to various bird organizations over the years. The first club I joined back in the 70s was the Fresno Canary and Finch Club. The first Umbrella Cockatoo I raised was in 1989, and have gone on to raise Lessers, Goffins, Citrons, and Tritons. My next challenge is to raise Rose breast Cockatoos. 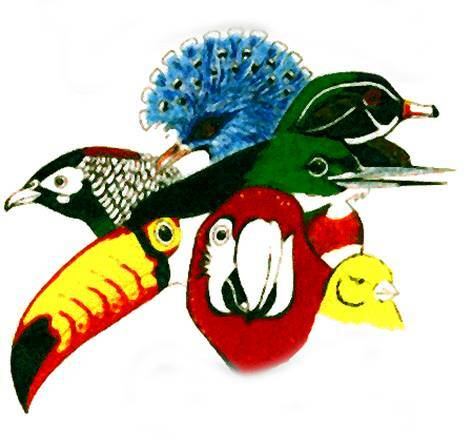 At the current time I am a State Coordinator for the American Federation of Aviculture. I am also training to become a Budgerigar Association of America Judge. I have worked with many different species of birds. I enjoy sharing information on genetics, hand raising and breeding. 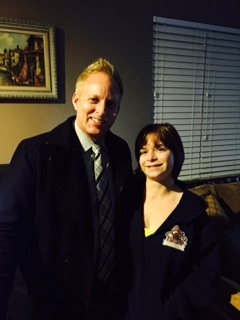 I wish to thank Roland Cristo for asking me to talk at the Foothill Club meeting. This talk will be about fostering at the San Diego Zoo and SDZ Safari Park along with examples of how it's been used in numerous conservation projects around the world. Pat has a bachelors degree in Zoology from Humboldt State University. Her first job took her into captivity, working for a private facility, Fortune Glen Aviaries, where for two years she learned about keeping, breeding and selling birds, working with Gene Hall who was a superb mentor. Thirty-three years ago, in 1979, Pat began working for the San Diego Zoo. She learned very quickly if you gave birds nesting opportunities you might soon find yourself overwhelmed with eggs. By 1980 she had been transferred to the new Avian Propagation Center, where she learned what to do with hundreds of eggs each year, using artificial incubation and hand rearing techniques. After five seasons of hand raising numerous precocial species, she began hand rearing psittacines and a year later softbills, including pigeons, cuckoos and hornbills. In 1991, Pat transferred to the San Diego Zoo Safari Park to work with off exhibit breeding stock, including 25 pair of pigeons & doves. She set up ten pair of Ringed Turtle Doves for fostering. In 1997, Pat was promoted to Animal Care Manager at the Zoos Avian Propagation Center, where she set up another 10 pair of Ringed Turtle Doves for fostering and also began using Ptilinopus, fruit doves for fostering numerous species. Helping others to learn more about our profession or vocation has always been important to her and she spends more time every year participating in training opportunities both at her own facilities and for other organizations. Ella Galik has been breeding canaries for approximately 25+ years. Her sixth grade teacher, Mr. Getis and her grandmother, initially got her interested in the songbirds when she was a child. Her interest was renewed when her children gave her a canary for her birthday. She has raised the following type canaries: Fife, Hartz and Glosters. Her song canaries include: American Singers, Belgian Waterslagers, and German Rollers. Ella hosted many canary workshops in January to encourage interest in canary aviculture. Many canary hobbyists owe their successes to her classes. 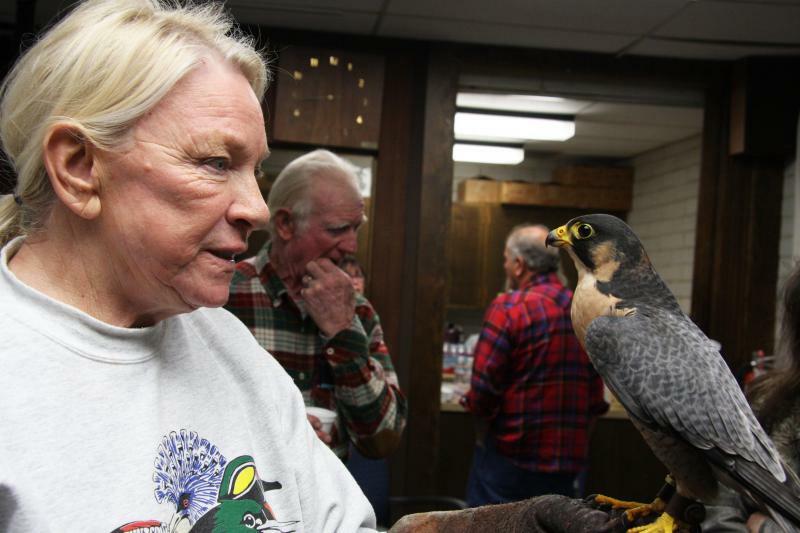 She was active in a lot of clubs including Capitol City Bird Society where she served as President in 1994, Junior Club Director for 3 years, show chair for 2001 as well as speaker chair. She was also a member of Pacific American Singers where she served as founding president, president of the National Hartz Roller Canary club; a member of these and local and National American Singer Club. Ella showed canaries for over 20 years. She is a certified American Singer Judge where she proudly holds the title of being the first certified California American Singer judge. 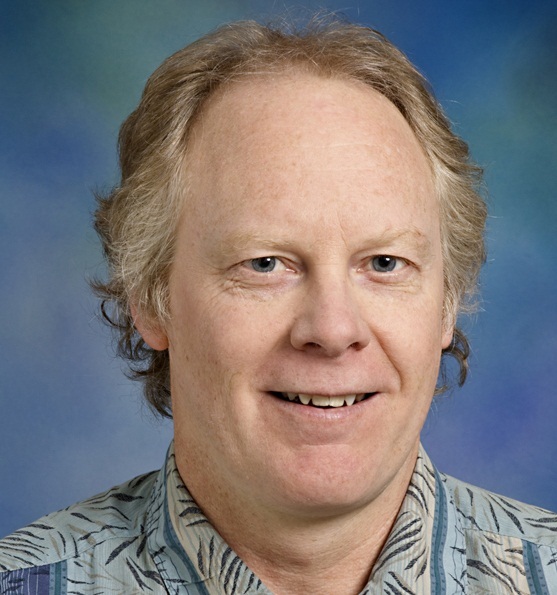 Kirk Klasing is a Professor at the University of California, Davis teaching undergraduate classes in Comparative Animal Nutrition and a graduate class in Nutrition and Immunity. His research examines the interactions between nutrition, immunity and disease in birds. He received a BS from Purdue and a PhD from Cornell University. He is a member of the Board on Natural Resources of the US National Academy of Sciences and the author of more than 150 refereed publications and several books, including Comparative Avian Nutrition. He is past-president of the international Comparative Nutrition Society. The talk will be on Psittacine nutrition principles and practice. This talk will cover the basic principles of avian nutrition that are important for keeping psittacines healthy and reproductively fit. Current and past research at the University of California, Davis will be highlighted. It will also include examples where fixing dietary problems have helped endangered populations recover. This year marks a new opportunity for Cedar Hill Birds, Eric, Alycia, Ashle and Brenden. The children will be brought into the business and be responsible for hand feeding some of the many lories they raise. Alycia continues to share her knowledge of birds. She and Eric spend a great amount of time writing articles for International magazines, speaking nationally, internationally and find time to speak at local clubs and the AFA. Alycia has also decided to dedicate time to giving back. In 2010 a hyacinth macaw was returned to her after his family suffered a tragic loss. This convinced her to go on with her creation of Skys Miracle; Macaws in Rehabilitation and Communal Living Enrichment. In 1980 Dr McDonald moved back to the Chicago area and became a staff veterinarian for the Brookfield zoo where he worked for the next 5 years. In 1985 he worked for Animal and Bird Hospital in Norco, California which at the time was one of the largest pet bird hospitals in the United States. While there he met his future wife, Gina, whom he married in 1989. In 1986, Dr McDonald, along with Drs Richard Nye and Susan Brown formed a partnership and started Midwest Bird Exotic Animal Hospital, in Westchester, IL. At the time, this was the first exclusively avian and exotic animal practice in the Midwest. He worked there until 2002. In 2002 Dr McDonald pursued a mobile, pet bird practice called Avian Laparoscopy. What had been a part time practice since 1980 became a full time endeavor. 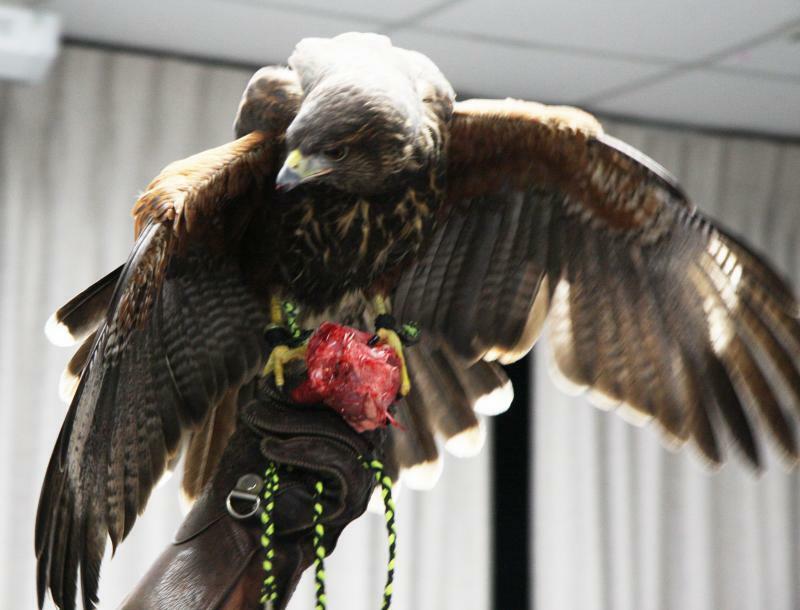 Services include surgical sexing of birds, health examinations and grooming, and aviary consultation. He continues this practice today. In the past Dr McDonald was an adjunct professor for the schools of veterinary medicine at Purdue, Illinois, and Wisconsin and taught introductory pet bird medicine and surgery to veterinary students for 14 years. He is an active member of the Association of Avian Veterinarians and served as the Education Chairman from 1989-1993. He has authored over 20 papers concerning avian topics and is an occasional lecturer at professional meetings and bird club functions. Scott currently resides in the western suburbs of Chicago, Il with his wife Gina, two teenage boys, Blake and Brian, and a house full of furry, feathery, scaly, and slimy friends. This is not a picture of one of Mary Ann's birds, just an example of an English budgie. On Friday, April1st, she will speak on English Budgies and what she does in her bird room. Ive been breeding small birds since 1975, Parakeets, Cockatiels and Finch. Branching out into exotic finch and larger Australian and Indian parakeets. Taking a liking to the English, I bought four pair from Don Denny. I liked the stock and stayed with the Denny bloodline for 20 years. In 2004, I married Rodney Silva and we combined our birds into one busy hobby. Rodney introduced me to the bird marts, and I kept him busy with being involved with the bird clubs and shows. Rodney and I became partners with the budgies last year with John Vic DeVictoria. Rod and I usually raise at least 400 babies every year. I joined the American Budgerigar Society in 1980 and started exhibiting that year. I became a Champion Exhibitor in the early 1990s. My most exciting win was with a huge male that was nicknamed Awesome. He came in fifth place at the Great Western Show in 1994 with 720 birds being shown. Rodney and I show at all the shows in California. We have exhibited as far away as the State of Utah, Arizona and Washington. We have been placing in the top ten Exhibitor of the Year awards (Champion and/or Rare Divisions) since 2006 in the United States. More information about ABS can be found at ABS1.org. We are most proud of our feeding program. We mix all of our own feed. We feed fresh vegies and nuts twice a week, and we cook a hot meal for the birds about four times a week. I am currently training through ABS to become an English Budgerigar Judge. It has been very exciting. It is quite different than watching the judging from the audience. I have always been very impressed with the budgie organization. It is among a very few national clubs that still keeps records and supports exhibiting. They have a national convention and show every year in September. On Friday, March 4th, he will speak on Amazons in American Avictulture. Breeding, keeping, color mutations and morfs, and species in the US. By the age of nine, Eric Antheunisse had a poultry and water fowl collection most fanciers would be envious of. As his passion grew Eric immersed himself in the trade and breeding of parrots. He traveled the western United States with his parents visiting other breeders, quarantine stations and the like learning everything he could. This past year Eric was recognized for his acheivement, knowledge, and experience, he was hired as the Avicultural Consultant to Loro Parque's Breeding Center, La Vera. As their consultant he will travel several times a year to the park and help to continue their many breeding success as well as create new ones. This is a huge honor for Cedar Hill Birds and a validation of Eric's time and constant dedication. Steve is a life-long bird watcher who began raising pigeons at age 11 and now has over 35 years of experience with many different species of birds in captivity. Steve attended California State Polytechnic University at Pomona where he earned a Bachelor of Science degree in Biology. As part of his degree, He completed an internship at the International Crane Foundation in Baraboo, Wisconsin. Steve developed a passion for nature photography as well during his college years. 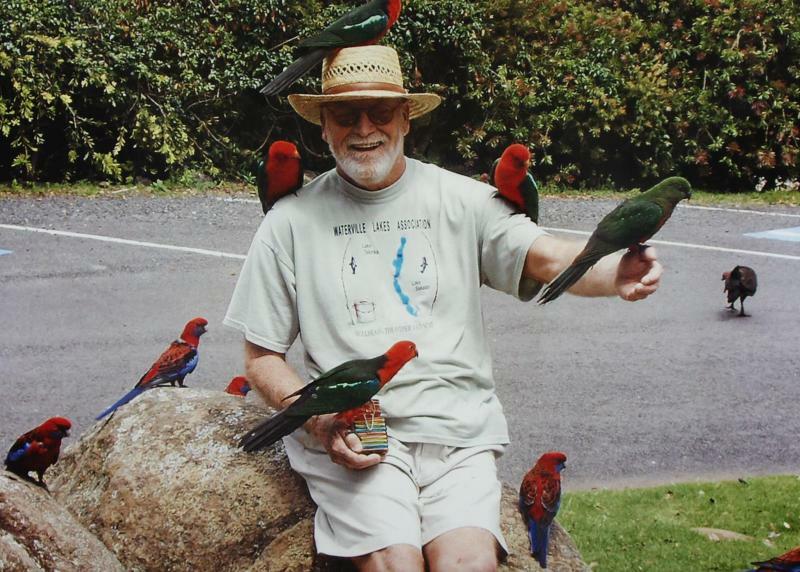 Steve worked in the retail pet industry for 12 years while building his bird collection. In 1988, he established Avian Resources, a commercial bird farm, which he continues to run today. The assortment of birds is still growing and currently includes finches, softbills, doves, pheasants, cranes, geese and a large variety of parrots including some rare color mutations. In addition to running Avian Resources, Steve is also the CFO of Bearings and Drives, Inc, a distributor of industrial power transmission equipment. Steve is the President of the Avicultural Society of America. Founded in 1927, it is the original and oldest national avicultural organization in America devoted to promoting aviculture and educating the public on the proper care of birds in captivity. He is a regular writer for the Avicultural Bulletin, published by ASA. He has been very active on legislative issues on behalf of the avicultural community. Steve is eager to create ASA programs that will bring the organization to aviculturists all across the U.S.
Lu Nunes will be speaking on raising and racing pigeons. He will relate the techniques of raising racing pigeons with raising all types of birds. Roland Cristo has been breeding birds for over 50 years. His father had aviaries in his back yard in the Bay Area as Roland was growing up. Roland would help his father take care of them. He has given talks to many bird clubs. This one will be on Breeding SoftbilledSong Birds. This will be a new talk with new pictures! Come to the club meeting on Friday, September 3rd, to hear Roland. Questions are always welcome. For seven years, Flavia Nogueira worked as the nursery/farm manager at Emerald Forest Bird Gardens in Fallbrook, CA where she gained experience raising babies of over thirty species of birds (especially softbills and psittacines). She has a Bachelors degree in biology and is also a Registered Veterinary Technician. During the past few years, she has taken several courses related to zoo animals and avian husbandry her main interests. She currently works at the Charles Paddock Zoo in Atascadero, CA and in her spare time enjoys hiking, cooking and spending time with her pets (1 Rose Breasted Cockatoo; 1 Pacific Parrolet; 1 Budgie; 2 Ivory Billed Aracaris and 1 cat). John Del Rio is an accomplished aviculturist and talented photographer. He is involved in many aspectsof aviculture. He is an activemember of ASA, ABC, and AFA. 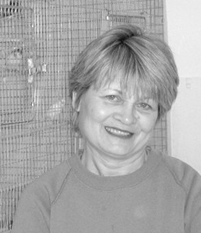 Carol Stanley has been involved in aviculture since 1997. Starting with parrotlets, she began raising and breeding larger hookbills shortly thereafter. In 2006, AB 2862 was introduced (and eventually defeated) in California and Carols involvement with legislative issues concerning the right to keep and breed birds began. Since then, she became a director for the Avicultural Society of America and has been Vice President of the Contra Costa Avian Society since 2004 and delegate for the American Federation of Avicluture since 2005. In 2008, she became a director for Advocates for Bird Conservation (ABC). 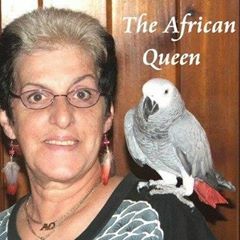 Carol has had the pleasure of hand feeding parrotlets, eclectus, cockatoos, greater vasa parrots, African greys, kookaburras, hyacinth macaws and many others. Using her background in graphics and videography, she has created several DVDs with some of the worlds renowned aviculturists. She also works on many projects for the ASA, including assisting coordinating their annual education conference. 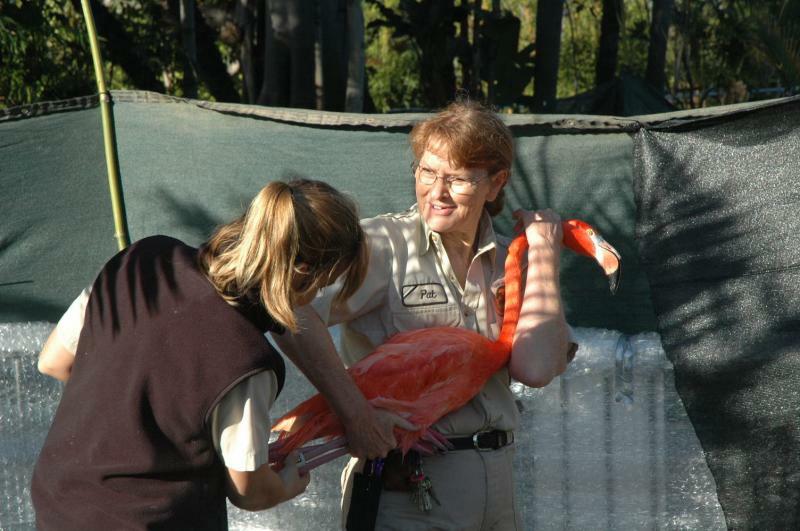 Beginning in 2008, Carol has hand raised day one Caribbean Flamingos for Six Flags Discovery Kingdom in Vallejo. The babies are intended to be used in educational displays in the park in the near future. Carol lives with her husband in Vacaville on 5 acres affectionately known as the Leaky Flamingo where she raises birds, designs website and videos and keeps learning about aviculture and slowly expanding her softbill collection. Darwin Charles Dailey attended Sierra College from 1962 to 1964. He transferred to U.C. Davis and completed a B.S. in Zoology in 1968 and an M.A. in Entomology in 1969. Charles was hired as an instructor at Sierra College in 1969 to teach numerous courses in the Biology Department. Most of his publications are joint efforts with Sierra College students. Recent efforts have generated many items on the history of deer and have led to related exhibits in the Sierra College Natural History Museum. He was responsible for acquiring, preparing and displaying Art the Whale in the Sierra College Natural History Museum. Ken is past President and current member of the Auburn Racing Pigeon Club. He has been a member since 1985. The Auburn club is well known through out the racing pigeon community for its excellent birds and champion flyers. Ken has won the Au. Hall of Fame award, a national recognition, 2 time winner of the Walt Disney Award and has several AU Registered Champions. He is known internationally for the quality of his racing pigeons. Peter Karsten, born November 1937 in Germany, immigrated to Canada in 1962, studied agriculture and business management in Germany, Sweden and Canada. He held the position of Director of the Calgary Zoo and Botanical Garden and Executive Director of the Calgary Zoological Society from 1974 to 1994. 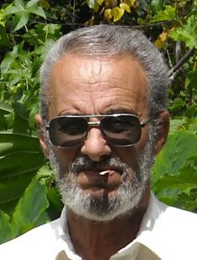 He worked in the field of agriculture, horticulture and zoological gardens in Germany, Sweden and Canada since 1955. His special interest has been zoo design, animal husbandry and species conservation. He was the first elected President of the Canadian Association of Zoos and Aquariums (1975/76), President of the American Zoo and Aquarium Association (1983/ 84) and President of the World Association of Zoos and Aquariums (1992/93). He published numerous technical papers including an internationally applied zookeeper training program. Peter Karsten provided on site consultant services to nearly 20 zoological gardens and wildlife parks in Canada, the USA, Mexico, Chile, Japan and Korea with emphasis on developing long range plans and facility design plans. He is enjoys painting wildlife and teaching watercolour techniques. He breeds rare species of birds in his home aviaries and published a book on aviary bird breeding (2007) : Pekin robins and small Softbills - Management and Breeding. ISBN-13 978-0-888-606-8; ISBN-10-88839-606-6. Peter Karsten was our speaker in November. Originally scheduled for the Symposium, heagreed to speak at our general meeting.